The Great Lakes area of Africa is a place wracked by conflict, violence, abuse and poverty. But it’s also a place where the Good News of Jesus is spreading quickly through the towns and villages. Harvest Partnership has a number of key people working in this area to promote the concept of Church Planting Movement (CPM), encouraging and training people to share their lives and the Good News in their homes and bring people together in simple small groups. Working with Pastor Bob Abdullah in and around Kisumu in Kenya. 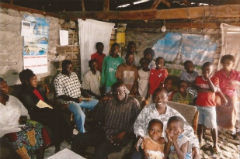 In the past we assisted Pastor Bob and his wife with a sewing machine to assist them to be self-sustaining (KEN05). His wife still uses the machine to provide for the family. The development, printing and distribution of Bible reading cards to support the Bible reading emphasis in the CPMs. The purchase and sale of Bibles to as many people as possible. This is very important as it’s the key group activity that is encouraged and a hallmark of the CPM. The establishment of a football team in Mombassa with a group of young guys being discipled. BHW has been partnering with Harvest Partnership for a number of years, supporting a number of their key people. We have known the key leaders for many years and understand the impact of the work in this part of the world. The beneficiaries are the four main leaders of the CPM and their families. Each of them has significant challenges in ministry as they do a lot of travel, training people and churches. In addition to them there are also people who benefit in other places as outlined above; the young people in Mombassa, Kenya and Pastor Bob Abdullah in Kisumu, Kenya. The work continues to develop and new house based churches are constantly being established. We like the simplicity of the concept and the impact it has on people. People are encouraged to become Bible readers and prayers and to just take their new found faith out into their networks. This sort of grassroots concept is very transferable in this area. The house church meeting is “simple church.” In a house church habits and traditions are left behind. People enjoy discussing the Word of God. One person has the Bible reading card, 5,000 of these have been printed. People meet daily in smaller groups to pray and discuss through the daily reading. For the weekly meeting they choose one of the readings from the past week that has challenged their hearts. They don’t seek to be theology collectors and correctors but most of all long to discover truth to give them direction for living. They also pray, prayer for sickness recovery is a major item for prayer as they are poor and have little money for medicines. This applies especially to the children. We also like the emphasis on Bible reading which is at the heart of this work. At the first seminar held in Bukavu some years ago, it was discovered that amongst all the many attendees and potential church planters, only three had a Bible. One pastor visited his friend each Tuesday to write out by hand the Scriptures he was going to use the following week in his preaching. The head pastor’s Bible had the back cover and the final chapters missing. 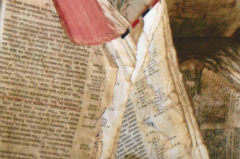 Another Bible in the church was cut into three pieces and different people had a piece each. During the internal conflicts the Bible Society removed itself from the area to Kinshasa about 3 weeks away by land and river transport. The key person is a New Zealand missionary who has been training church planters in Africa for many years. However, the key people on the ground are local guys from the Democratic Republic of Congo. 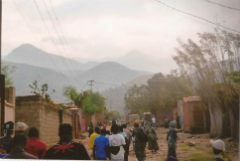 In 2001 J, the first leader, and some friends returned to the Congo firstly to encourage the war devastated churches and some then planted their own churches. 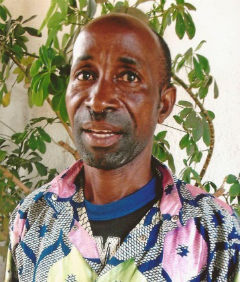 J, in Bukavu, chose to continue encouraging existing churches in evangelism and church planting without church buildings. Two men in Bukavu became J’s fellow teachers. The office was in one of their homes in an area of the city that regularly had no electricity. Abel Nzoa, a university student in his early 20’s, had observed the ministry and volunteered to be the local secretary of the work when he wasn’t studying. He enjoyed translating and computerising new evangelism and church planting materials. Abel found time to go to “taste” seminars and by the time it was strategic for J to move to Bujumbura, Burundi, Abel had become J’s right hand man in Bukavu. Under his care the number of denominations participating has grown from 12 to 16. Abel visits them to encourage and teach the leaders toward continued effectiveness. Beyond Bukavu many churches are being encouraged and new ones are planted monthly, even in rural areas dangerous because of rebel armies. Often in these areas church growth is faster with new churches being started in distant places. At the other end of Lake Kivu is Goma, where Abel also encourages those who have planted many new churches. The bookshop, which imports the Congo Swahili Bibles, is also in Goma. 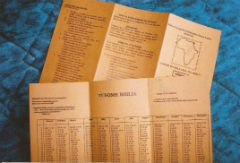 Usually it falls to Abel to make sure these are purchased and are distributed appropriately in Goma, Bukavu and Uvira, firstly to Bible-less leaders and church-planters. More recently he has been guiding Alimasi and Pascal who work in places beside Lake Tanganyika. • Planning church planting seminars. • Pastoring the leaders of both the city and rural church groups who have planted hundreds of churches. He hears of thrills and difficulties in the work, and gives advice. • Planning refresher and leadership teaching seminars for church planters. • Visiting city and rural churches out from Bukavu and Goma. • Encouraging daily Bible reading and strategically distributing Bibles. • Translating new materials and maintaining the A E M office. 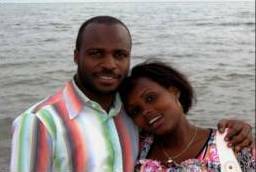 Abel is responsible to the Africa Evangelistic Ministry Great Lakes [AEM GL] Board. He has a love for God and a vision of people coming to the Lord through active churches. He is developing more and more in his leadership. In the near future Abel will be developed further to take responsibility for the East Congo work, the vision for which reaches from Kalamie in the south to Bunia in the north. Abel is married to Anita and they have twin girls. Alimasi is a University trained guy with great gifts. He had worked as a planning consultant with a number of NGOs which put bread on his table. But he soon wanted to devote himself to the “work of the Lord” as his church was really in church transformation. He still works from time to time to earn money. During the Great Lakes genocide in the 90's Alimasi was twice a refugee. The first time he was taken to a refugee camp in Malawi where he heard the good news through the Nazarene Church. There he became a follower of Jesus. 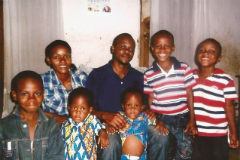 Six months after returning home he had to escape again, this time across the lake to Kigoma in Tanzania. While there he met Chance, a young woman who took his eye. Her parents have allowed them to get married in the church but not officially until he is able to afford to pay the bride price of around $US1,300. He travels extensively to help the small churches to continue living and growing in the Word of God. The challenge is to build a team of supporters who will support him so he can concentrate on developing the churches. They are a very joyful family. Pascal is a very serious worker for God and the father of 3 children. In 2009 his wife left him and ran away with the local school headmaster. How could he continue God’s work and care for 3 children? No long trips. He said he would welcome his wife back but she became pregnant to the other man and refused to return. Should he divorce her? After praying and some research he discovered that he had only had a village wedding and that he was not legally married anyway. Recently he met a born again lady, a market seller, who is willing to marry him and look after the children so he can be available to continue the work of the Lord. Now he needs to find the bride price! Harvest Partnership first met Munga when they arranged for 17 of his church members to come for a 5 day house church planting seminar. A month later they met again and heard reports of their activities and gave out Bibles as there were few available. They reported that they had planted 39 churches in the first month. He began to attend other seminars to tell his story about church planting and encouraged others to do the same thing. His Siloam churches no longer have buildings and meet in people’s homes with many becoming true disciples of Jesus and leaders. He lives on a hill on the lakeside where there is little road transport. People come and go on boats and ships. There are more than 10,000 people living on that hillside with only walking tracks to get to their homes. His home is very simple. The floor is made of cobblestones as when it rains the water comes washing through the house. The walls are thin and you can see the sky through gaps in the roof. He is very poor and one wonders how they manage to feed the children and all the visitors that come to their home. The vision is to grow this church planting movement by supporting the key trainers. In addition there are other needs related to the development of the work that the support goes towards. Each year the NZ missionary spends time in this area encouraging the team and planning strategies with them. Shaban and his brother Eddy became street kids after their parents died. Their father was a Moslem who married a Christian lady after promising to become a Christian. After 15 years he had not kept his promise but was demanding that his wife and children become Moslems. She and the boys left home and went to live in the family village. Then, she died. The children had to return to their father but soon he died as well and they became homeless. They lived in a roofless building and scrounged and prayed for food and clothing. The seed of God’s Word remained in them and in 2005 they were led to the Lord. In spite of difficulties they continued in their faith and became strong followers of Jesus. In 2007 Harvest Partnership met Shaban. After experiencing a football based outreach in the Kiambu slum in Nairobi, he realised that the young people in his home town of Mariakani could be reached and he returned home. 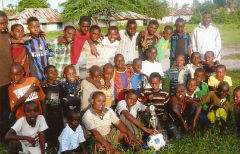 In 2011 the KENSHA football outreach project became a reality. It’s purpose is to develop the kids through football and Jesus. Shaban and his brother Eddy are giving the young boys hope, meaning and purpose. When Shaban prays he usually finishes by asking God to “help those who have no food, no good clothes and no roof to sleep under.” That was his life previously. By 7:30 a.m. the boys are all ready for their first training session led by Eddy. This lasts till around 10 a.m. except for those who have to go to school. At that time they have a Bible reading so that the boys know the stories of God and Jesus as their father, friend, saviour and Lord. Within the first year, 2011, the boys had won their first trophy of which they are very proud. But these guys have nothing. Many of them would sleep on the floor together and use an old mattress as a pillow. Many of them have no regular food, clothing or shelter.